Cool Conduct is an elegant interpretation of attitudes and mentalities that informed the Weimar Republic by a scholar well known for his profound knowledge of this period. 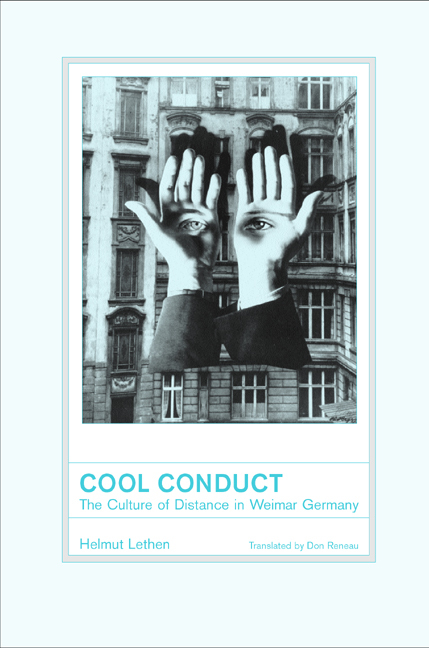 Helmut Lethen writes of "cool conduct" as a cultivated antidote to the heated atmosphere of post-World War I Germany, as a way of burying shame and animosity that might otherwise make social contact impossible. Helmut Lethen is Professor of German at the University of Rostock and author of books on Brecht and on New Objectivity in Germany. Don Reneau is an independent translator living in Chicago.